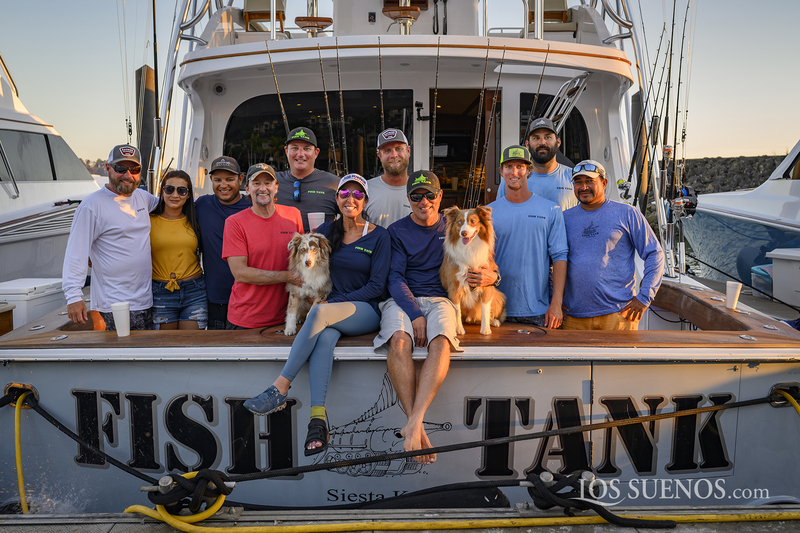 The well-known offshore angling team led by Chris and Laura Jessen and Capt. 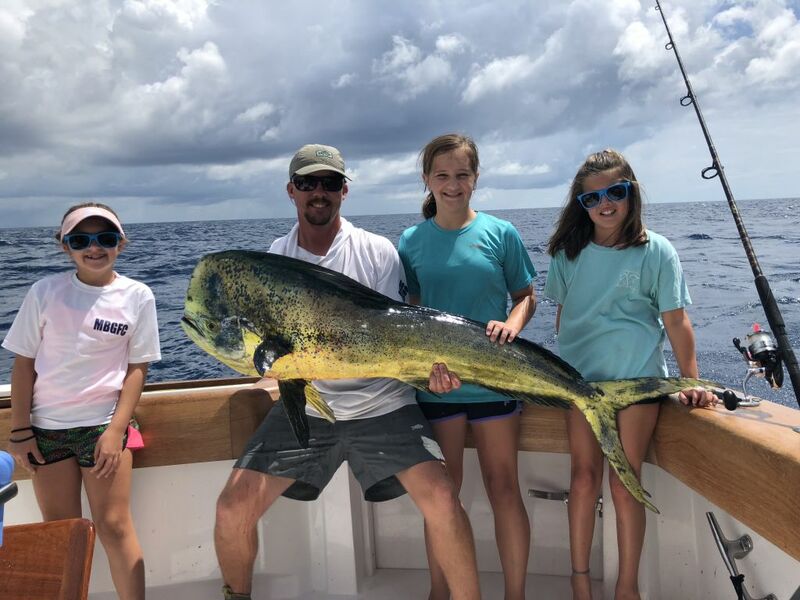 Ben Horning on the Hatteras GT63 Fish Tank are overall Champions of the 2019 Los Sueños Triple Crown! 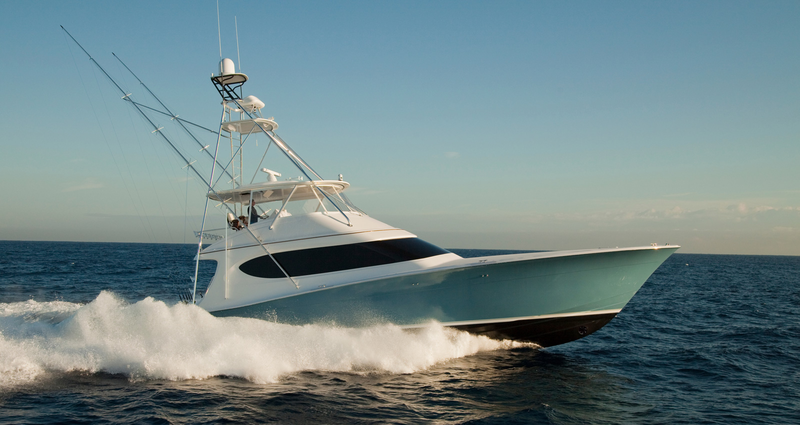 While Hatteras Yachts’ legendary ride, performance, comfort, and fishability get the lion’s share of attention, the equipment we manufacture for each of our boats also is purpose-built to deliver an exceptional experience. 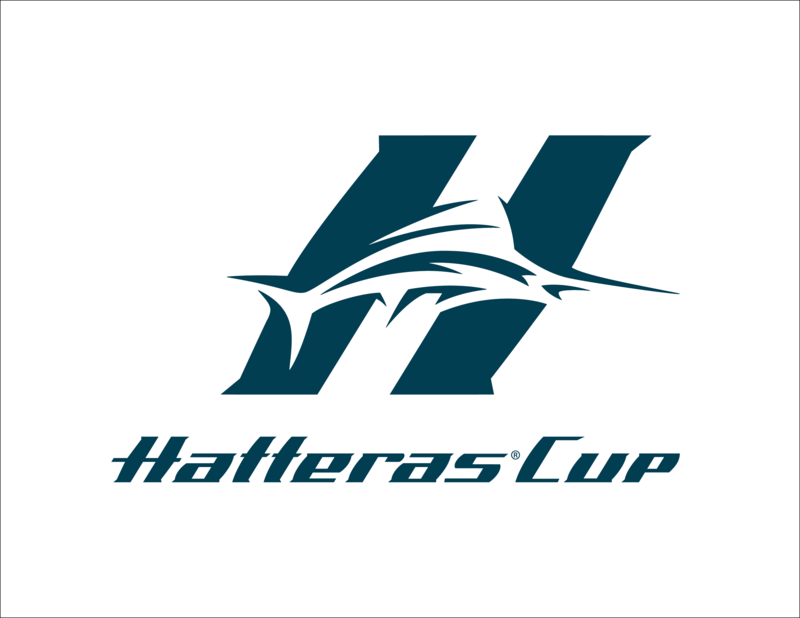 Take the electrical wiring systems and panels that keep your Hatteras lighted, running and safe. 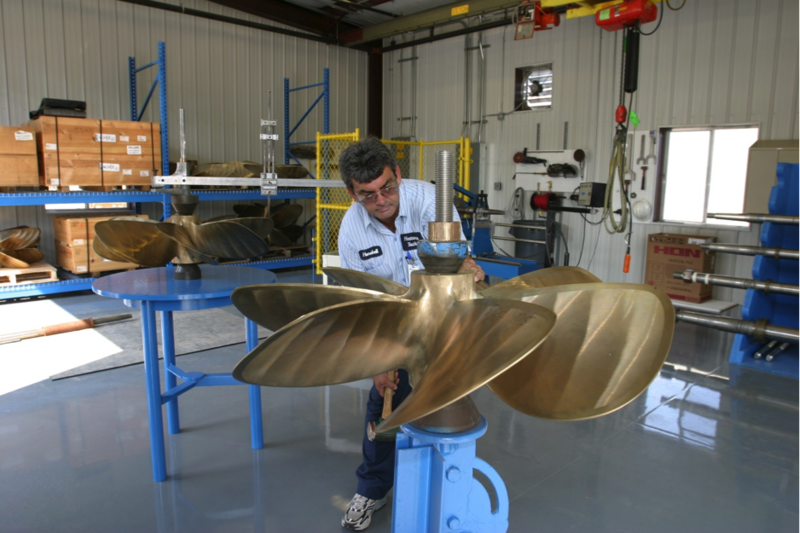 Our veteran technicians build them all by hand in-house to ensure your boat always has the electrical power you need when you need it. 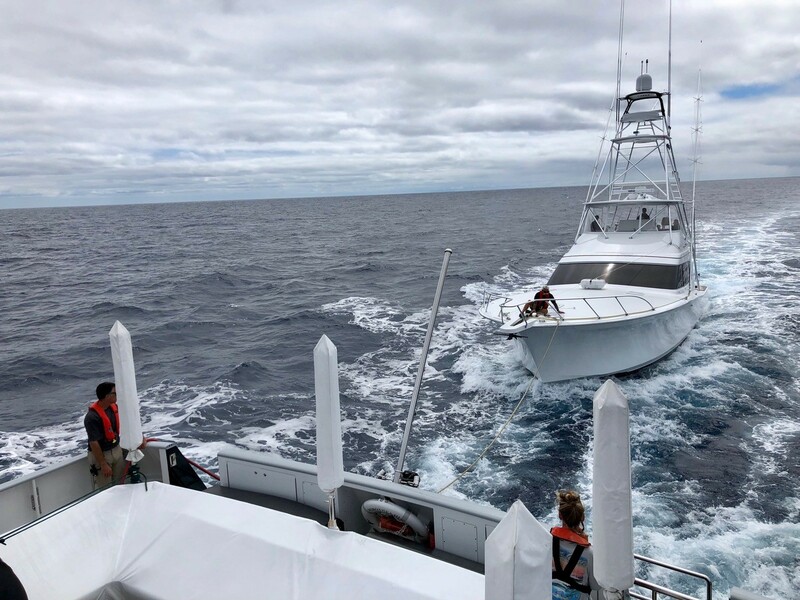 This July, GT63 Post One traveled from St. George's Harbor in Bermuda to Horta Marina in Faial, Azores—a nine-day, 1800 nautical mile run across the Atlantic Ocean. 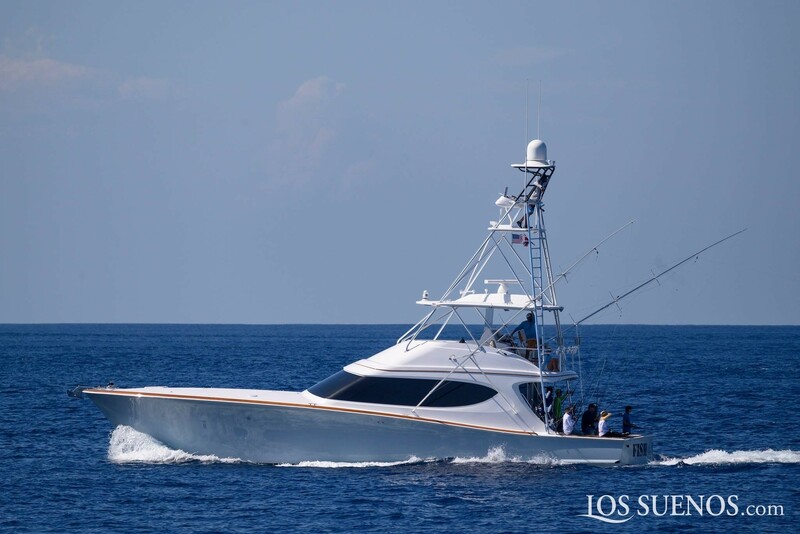 She is one of the first sportfishing boats to complete the journey on her own bottom, with assistance from 147-foot mothership Dorothea III. 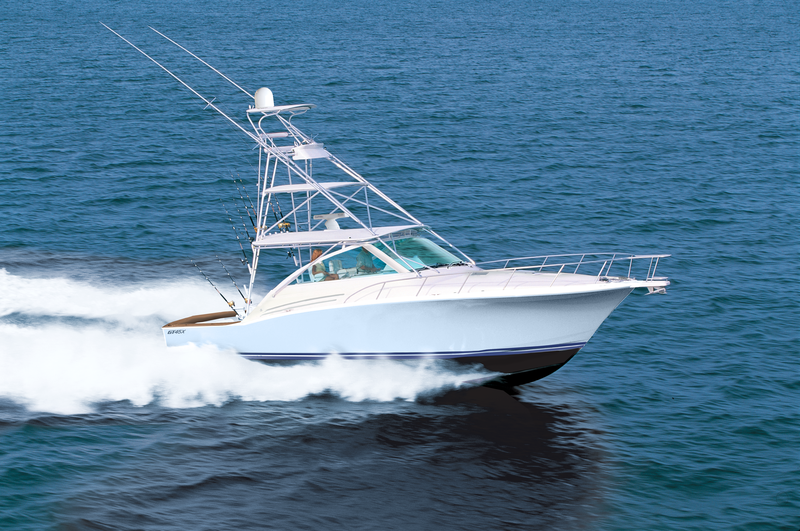 You want to be out where the fish are biting, even when it’s too rough for the other boats to leave the dock. 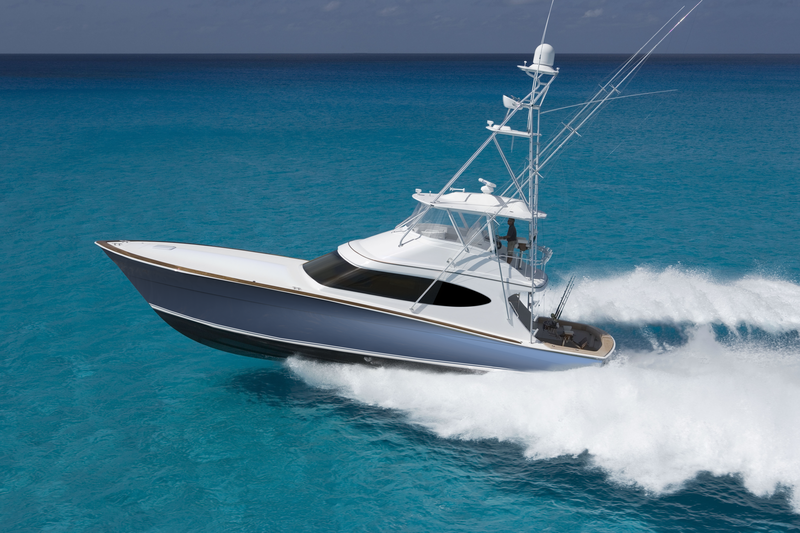 That’s why every Hatteras hull is designed and built to give you a smooth, stable ride in turbulent offshore conditions. 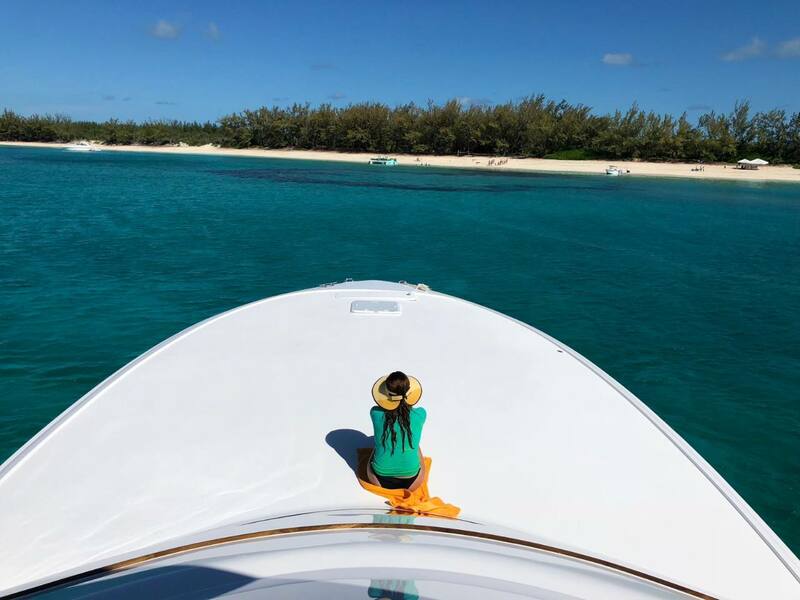 Sports car handling, sea-kindliness and 40+ knots. 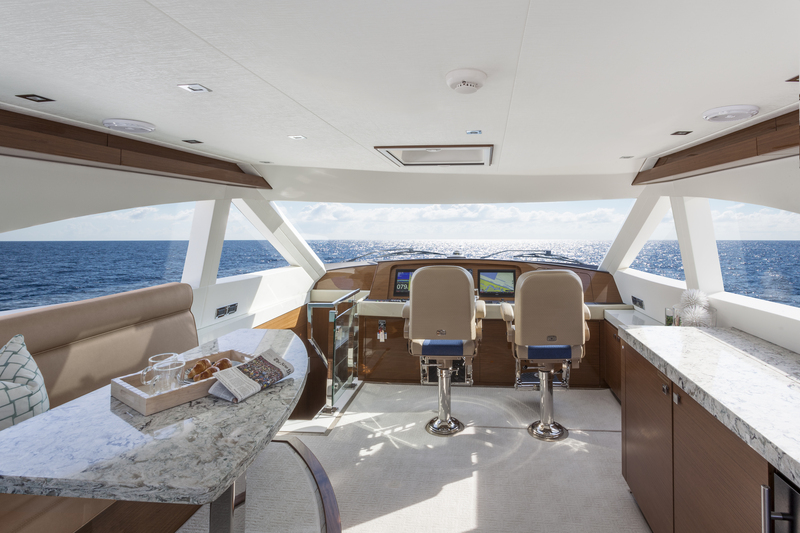 If you want all the advantages of an express-style fishing boat combined with the added fishability of a flybridge helm, the new Hatteras GT45X with Flybridge Option is the boat for you. 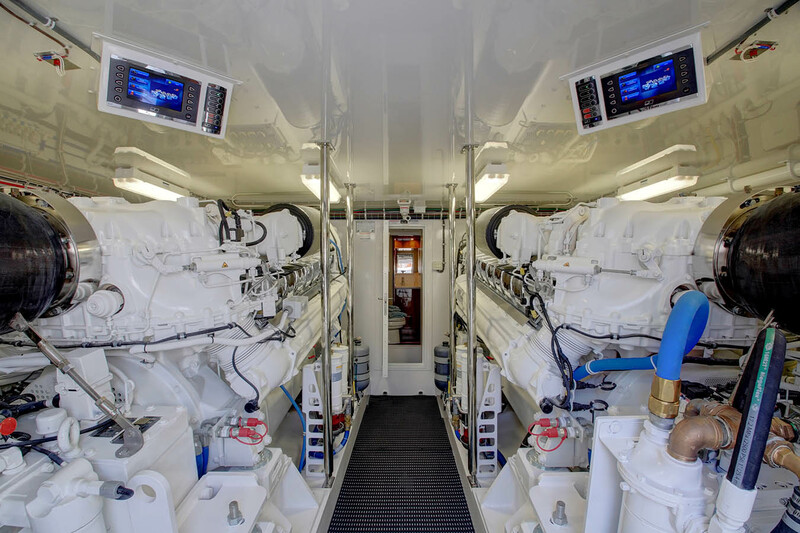 When Hatteras owners take guests on a tour of their yacht, they often save the best part for last − the engine room. 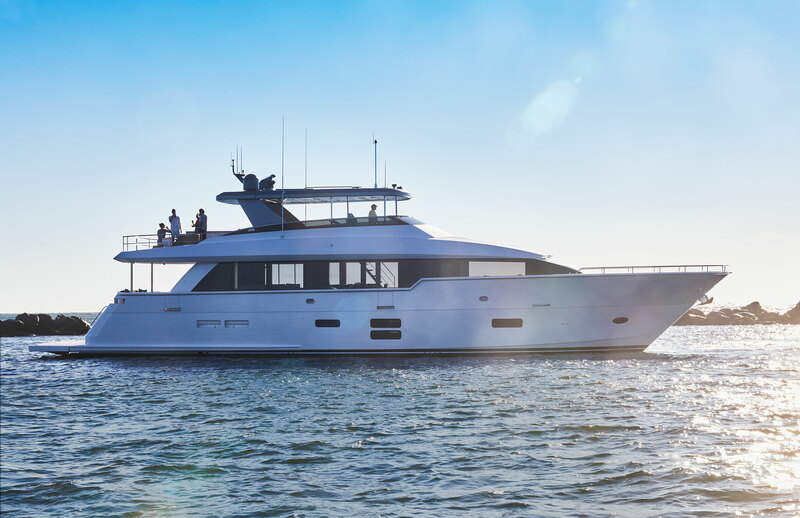 Every machinery space, from the 45 Express to the cavernous engine room on the 100 Raised Pilothouse Motor Yacht, is Intelligently designed, well-equipped, and surgically clean, showcasing the best of Hatteras engineering, design and construction technology. 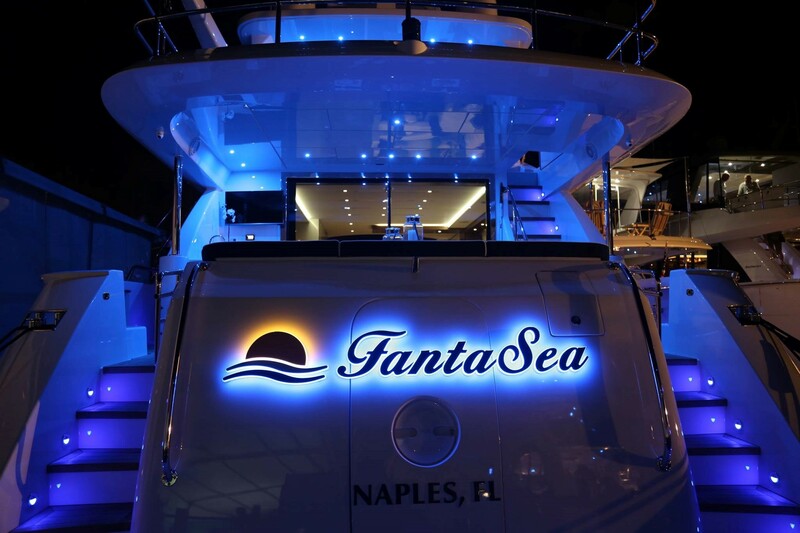 Unmistakable—thanks to her jaunty flybridge, white paint and teal trim, the 41-foot Knit Wits, the first Hatteras ever built, pulled up to the dock at Pier 66 Marina in Fort Lauderdale where we waited to board her. 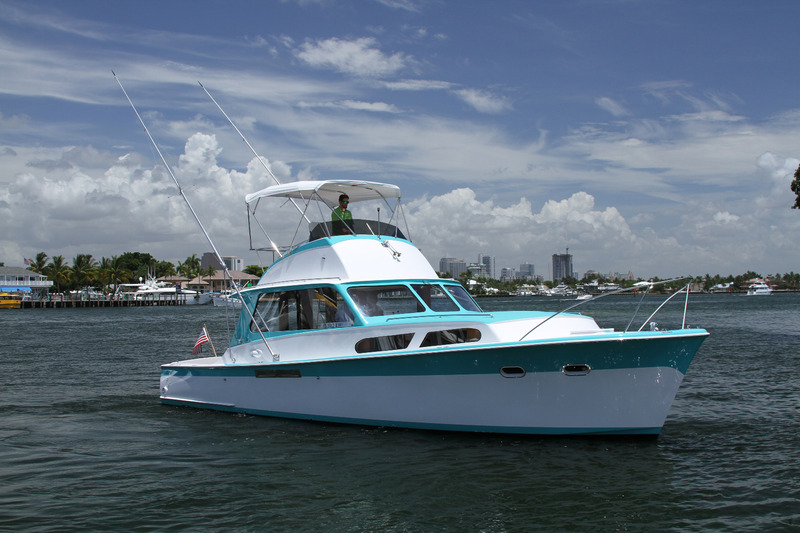 Thanks to a full restoration by the Hatteras factory team in 2013, she looked just as fresh and feisty as the day she launched in 1960—55 years ago.